The Diocese of Kilmore covers most of County Cavan, large sections of County Leitrim, three parishes in County Fermanagh and small portions of Counties Sligo and Meath. The overall population of the diocese is 83,076 with a Catholic population of 69,758. There are 5 Congregations of religious sisters in Kilmore with a total of 50 members. Kilmore has 34 parishes; 33 in the Republic and 2 in Northern Ireland. 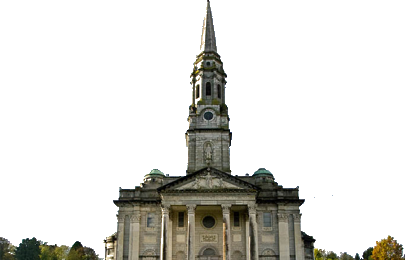 Each parish has a pastoral committee, a finance committee, a recruitment committee and a safeguarding children representative. The Kilmore Diocese is approximately the same as the ancient territory of Breifne. 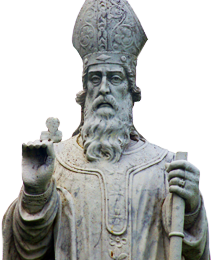 In the sixth century St. Felim, the patron of the diocese, established a church at Kilmore near where Cavan town is now situated. The diocese was formally established at the Synod of Kells in 1152 and it was known in papal documents by a variety of names such as Brefinnia and Tybruinensis (Urney). Andrew McBrady, who was bishop of the diocese from 1445 to 1455, rebuilt the ancient church of St. Felim. Pope Nicholas V allowed him to make this his cathedral and it became known as An Chill Mhór, and this cathedral gave its name to the diocese, a name which has remained ever since. The Cathedral passed into the hands of the Church of Ireland at the Reformation. During the period of persecution, the Franciscan bishop Richard Brady (1580 – 1607) was imprisoned three times and Blessed Conn O’Rourke, a native of Dromahair was martyred at Kilmallock in 1579 along with another son of Creevalea Abbey, the Franciscan bishop of Mayo, Patrick O’Healey. Hugh O’Reilly became Bishop of Kilmore in 1626 but was transferred to Armagh in 1628. He worked hard for the success of the Confederation of Kilkenny. Eugene MacSweeney, a native of Donegal, succeeded Primate Hugh as Bishop of Kilmore and at one time was the only bishop in Ireland. He died in 1669 and the See was vacant for almost sixty years. The years of the vacancy were particularly difficult. The diocese was ruled by vicars who found it hard to maintain discipline. In 1715 the parish priests of the diocese asked Rome to appoint Michael Smith as bishop. “The diocese”, they wrote, ” was more than forty six years without a bishop to confer Orders and Confirmation and to settle with his authority the frequent disputes that arise. The clergy are in the greatest need. All the dignitaries of the Cathedral Chapter are dead and we alone are left, decrepit old men, no longer able to work”. Religious toleration improved in the eighteenth century and Rome began to appoint bishops in Ireland. Michael MacDonagh, a Dominican, was appointed to Kilmore in 1728. He was succeeded by another Dominican, Laurence Richardson, in 1747 and Andrew Campbell, an Armagh priest, followed in 1753. All three were non-resident and visited the diocese for short periods only. The transfer of Denis Maguire, a Franciscan, from Dromore to Kilmore in 1770 gave a new stability. He began the process of rebuilding both discipline and churches.